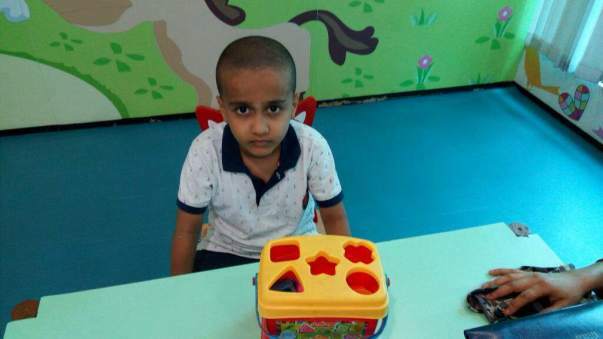 6 Year old Kashish since last January has undergone more than 10 cycles of chemotherapy, he cannot go out and play and is confined to the premises of his home. He has lost his school friends since he stopped going to school last year. He has lost his hair feel really discomforting and gets conscious about it. 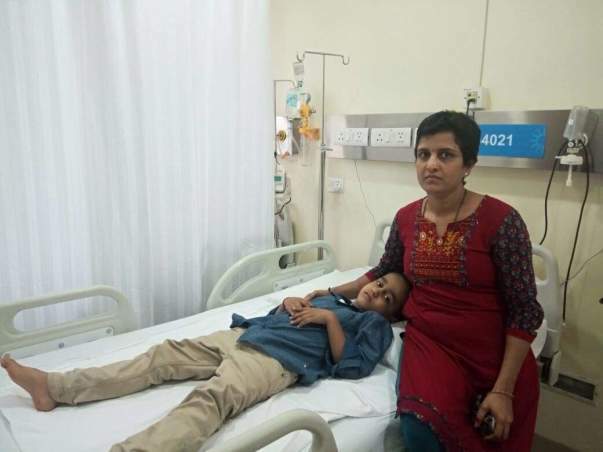 All of this sadness is due to the fact that Kashish is suffering from one of the most dreadful diseases called blood cancer (leukemia) and would take another three years to get completely cured of the disease. His parents have exhausted all their network and seek support in funding his medical treatment ahead. Kashish would require few more rounds of chemotherapy and would also require medications in order to become healthy again. Kashish had a caught a fever, which did not go for the next 10 days. 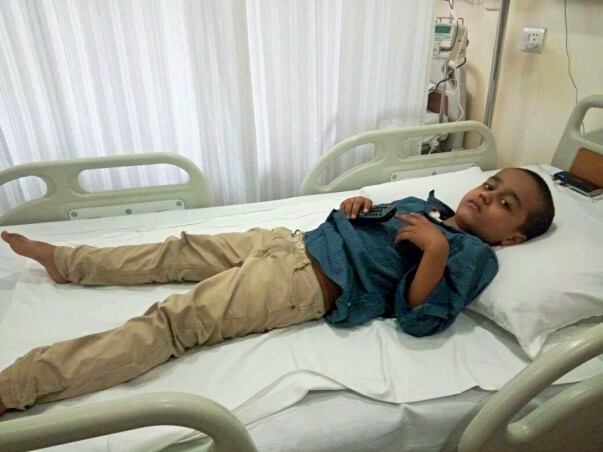 Kashish father Taresh suspected something was not right with his child and immediately took him to a private hospital, after running some tests it was found that there was a step decline in number white blood cells in his body and eventually it was diagnosed that he has Blood cancer. However, the journey of the treatment has been really painful and time taking. The induction(first) chemo cycle was extremely painful and grueling. 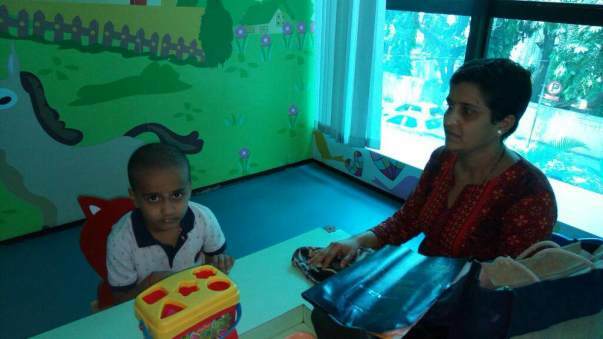 Kashish had shifted to an ICU and had to experience the pain of losing the hair as side effects at such a tender age. Kashish had shifted to an ICU and had to also experience the pain of losing the hair as side effects at such a tender age. "After the first 3 rounds of chemo, he became so weak that he could not even walk and was confined to his bed. He used cry seeing his face and used ask where did his hair go?" Blood cancer paralyzes body's immune system and prevents the body from fighting harmful diseases and the only way to cure is by under a chemotherapy or a bone marrow transplant. 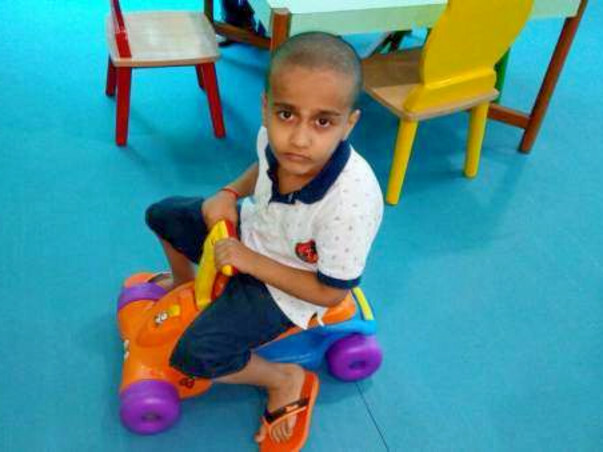 Since Kashish was diagnosed at an initial stage, he was only required to go cycles to chemotherapy as the treatment. His past favorite past time used be running around and playing in the outdoors, now he stays home and passes the time watching tv hopes to get cured of this dreadful disease. Kashish' father Taresh works as a civil supervisor in a construction company and manages to earn 25000 per month with his savings and help from friends and relatives. 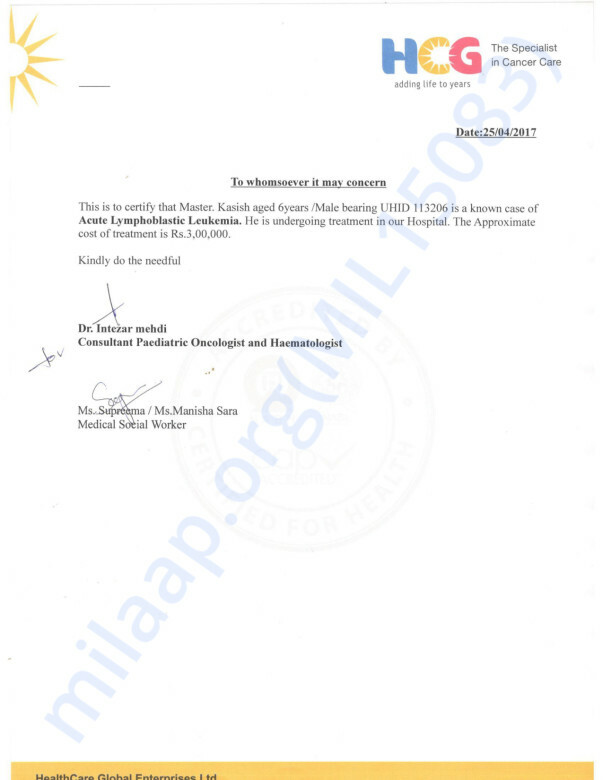 He was able to arrange 20 lakhs for the initial treatment. however, the treatment has to continue and for that the requirement in another 3 lakhs. Your support will definitely help in relieving the financial stress through which family is currently going through. Please come forward to support Kashish's treatment.